Unique expertise in machining brings it's own long history of success in delivering the highest quality machined parts in record time while developing and maintaining strong, honest working relationships with our customers, suppliers and vendors. "Single Source for all your Tooling and Machining Needs." Specialty Machine Products, Incorporated, S.M.P. has been family owned and operated for three generations. All operations are handled in-house at S.M.P., providing the highest quality and precision machined parts along with excellent customer service. 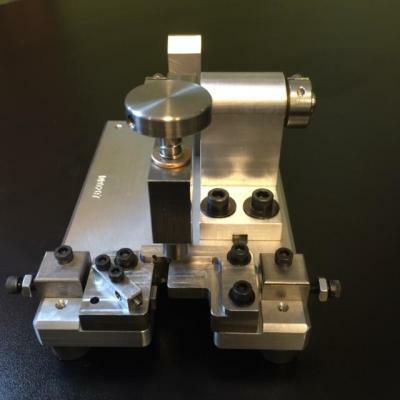 We specialize in short run, high precision, component parts. Try Specialty Machine Products and let us show you why our company stands the test and is the "Single Source For All Your Tooling and Machining Needs." Our employees are experienced and highly trained. We provide the highest quality and precision machined parts. We invite you to see for yourself with a personalized tour of our facilities. Call us now to set up a time for you to come down and take a tour of both our facilities. Specialty Machine Products, Incorporated is located right in Milwaukee, Wisconsin. We welcome each new phone call, email or fax with excitement, anticipation, and complete professional dedication. We deliver fast free quote/s on all your projects. Both of our facilities are fully equipped and geared towards providing high quality machined parts with the shortest lead-times possible. We invite you to call or stop by to discuss how partnering with Specialty Machine Products can be a long term benefit to you and your company! Single Source for all your Tooling and Machining Needs. Specialty Machine Products, Incorporated has recognized that its employees are it's most valuable asset. We strive to promote from within and offer competitive Employee Benefits like Paid Vacation, Medical Insurance, Dental Insurance, Paid Holidays, Employee IRA Plan and much more. Apply today! - IMMEDIATE POSTION FOR DELIVERY DRIVER - Must hold a valid drivers license & clean driving record. steel banding pallets, working in a manufacturing machine shop & able to work with parts 100lbs. to 2,000lbs. versed in Cnc progamming, Cnc machining, w/ experience in Master Cam & Solid Works. This isn't production work it is modeling & prototyping work which allows for working directly w/ engineering.